Israeli chef Uri Navon has already found success in both Jerusalem and London, and his just opened Balagan in the 1st arrondissement is already living up to the standards he’s set elsewhere. The modern Israeli menu pulls off a feat of alchemy, transforming a few simple ingredients into magical dishes like the "1,2,3 eggplant," which Navon brags about pulling off with only three ingredients. And the tahini and bread that begin the meal alone are worth a trip across the Atlantic. It’s possible to spend an entire trip to Paris simply draying around looking for the perfect boulangerie. But that is neither a realistic nor a good use of your time (especially if, like me, you’re in a time crunch). Just head to the corner of rue de Marseille and rue Yves Toudic to the shop of Christophe Vasseur and call it a day. You’ll be happy with a simple loaf of crusty bread, but do yourself a favor and pick up an escargot…or 10. Third wave coffee shops are still relatively new to Paris, but several are starting to take root and Matamata in the Montorgrueil brews a cup as good as you’ll find anywhere in the city. Look to your left as you walk in the door and you’ll see not only a full menu of espresso drinks but a variety brewing methods including Chemex and Aeropress. And the barista, more likely than not one of the co-owners will happily tell you about whatever single origin bean they’re grinding that day. One of the grandest restaurants in Paris, now or ever. The gilded 2-star Michelin dining room has been in the courtyard of the Palais-Royal since 1784 and owned by Chef Guy Martin since 2011. From foie gras ravioli to a slow cooked duck to the three dessert courses (this was for lunch, mind you), Le Grand Vefour puts on an artful, if regimented display of old-school fine dining. This centuries-old shop once frequented by Julia Child is to cooks what a great independent bookstore is to a literature junkie—an easy place to wander dreamily for an hour. 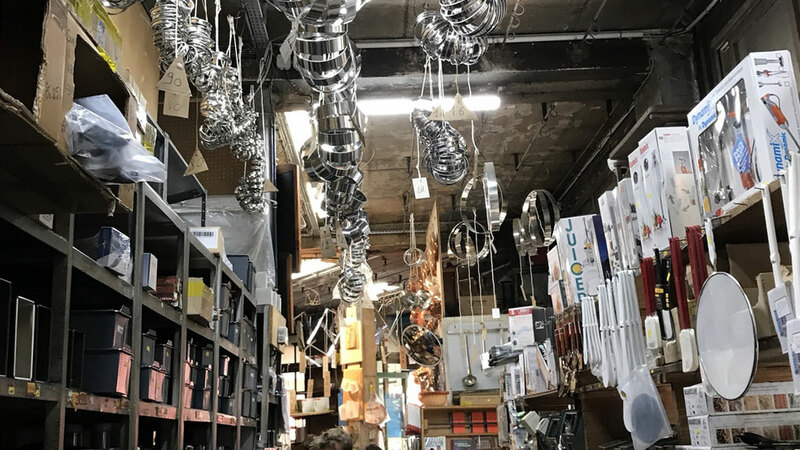 Pans and knives of every shape and size (seriously every size—I picked up a cleaver that must have weighed 12 pounds) are crammed in the narrow aisles along with every other tool a kitchen you could ever need. 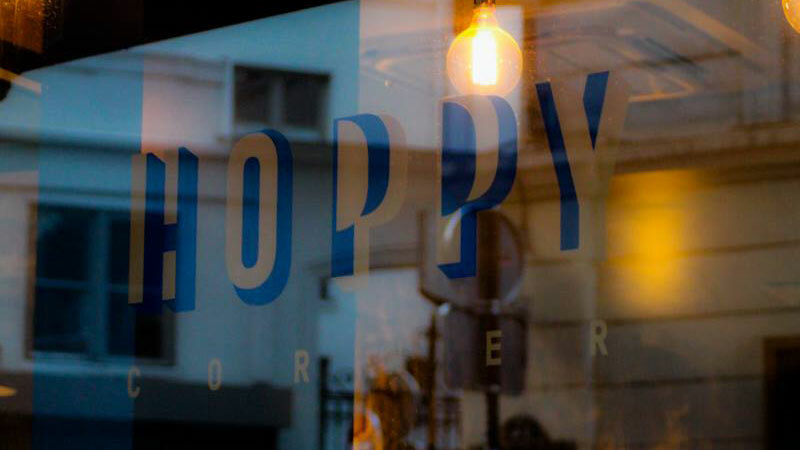 A trusted source for drinking information told me that, “beer is becoming a thing in Paris.” Sure enough I didn’t have to wander more than a few blocks before finding Hoppy Corner. The bar has only been around for a year, but it’s a good example of Paris’ still nascent craft beer culture. The tap list balances newer French creations from breweries like Crazy Hops and Craig Allen with well-known offerings from outfits around Europe and the U.S. like Rodenbach and Rogue. Lured in by signage that would fit just as well deep in Williamsburg as it does in Paris, I stopped in to grab a sandwich on the way out of town. The simple menu offers only a few options. All the banh mi start on baguettes from Eric Kayser before they’re layered with a changing bevy of fresh, local ingredients. Pick up a housemade sweet tea and you’ve got a delicious, lighter alternative to some of the heavier bistro fare.